Rustic cuisine and an ethereal place to pray at Bosjes. Is it a bird? A wave? A spaceship? 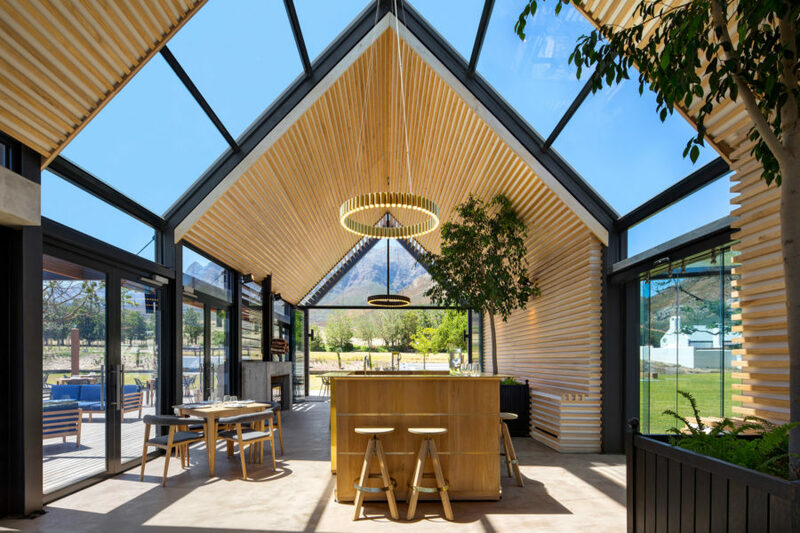 Those are questions I never thought needed asking—until I checked into Bosjes, a new farm retreat in South Africa’s little-known Breede Valley, about 90 minutes from Cape Town. Here, set amid 2500 acres of rolling land lined with pomegranate, apple, lemon, and mulberry groves, I found a modern farmhouse with five contemporary suites; Bosjes Kombuis, a restaurant set in an airy barnlike structure serving rustic-modern comfort food (I had the sea bass with mashed potatoes and mussel velouté followed by a classic South African Malva pudding for dessert); and the owners’ manor house, done up in classic Cape Dutch style, fanciful gables and all. But what really caught my eye was the chapel, a striking new venue for highly photogenic weddings. The curvaceous concrete slab rises from its surrounds like an otherworldly orb—but it was not, in fact, the brainchild of extraterrestrials. 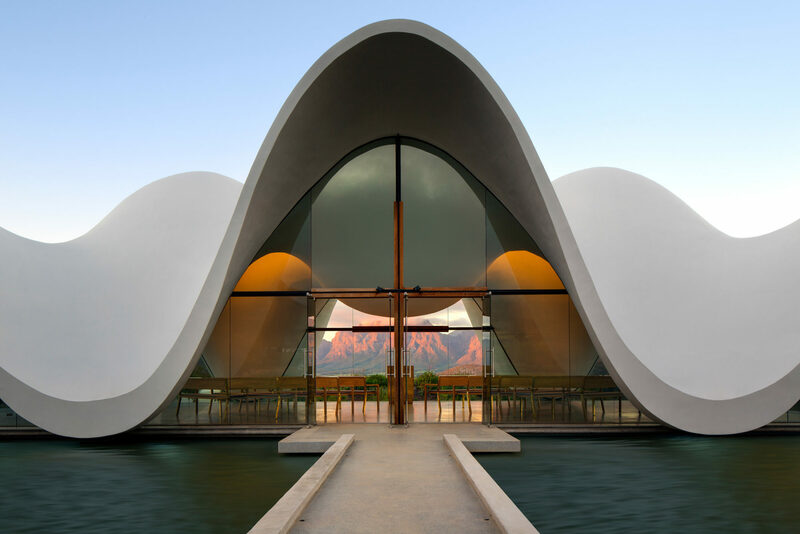 U.K.-based architect Coetzee Steyn, a local boy gone global, was the mastermind, acting on a brief that simply directed him to avoid anything traditional. I think he succeeded: Bosjes promises to put the Breede Valley on South Africa’s already packed road-trip map: a hot new destination to eat, pray, and sleep, perhaps?